Just before bed last night I had an upsetting interaction with a friend. It was not a fight or an argument, but I was worried about her. In the past, something like this would have ruined my sleep. Yep; in days past this distress would have spun out my mind. I would have replayed the bothersome event while my heart thumped out of my chest and cortisol pumped through my veins. Doesn’t that sound fun? Now that I am a mother of two active boys, I just cannot afford to lose a night of sleep over something like this. Sleep is a valuable commodity; losing it costs me too much. Thankfully, by the grace of God, I have worked hard over the years to improve my quieting and appreciation skills. This means I can better calm down, rest, and feel thankful as I need to. Last night was one of those moments I needed to put my two skills to use. I spent a few minutes reflecting on highlights from my day. I glanced at a few fun pictures from earlier when the boys went sledding. The memories and images of their smiles brought me some much-needed peace and joy. I noticed my body was relaxed while my breathing was deep and steady. After a short time, my nervous system settled and I peacefully prepared for bed. Do you know that you can change what your brain knows as its natural state? For some of us, anger may seem natural. For others, we may feel like fear is a normal part of our personality. Some may think sadness is the home base. Ideally, our natural state is a combination of joy and quiet where we alternate between glad to be togetherness and moments of peaceful restfulness. We may consider ourselves “happy” “content” “secure” and more good things, but, far too often, this is not the case. Most of us quickly recognize we could use a minor (or major!) adjustment to the thermostat of our nervous system to run a bit “hotter” or somewhat “cooler.” In fact, just how you can adjust the thermostat in your house to a temperature that feels comfortable, you can actually change what feels normal to your brain – with a bit of purposeful effort and practice. Intentional practice with appreciation can change how we approach life and relationships. Appreciation is a brain skill that can, well, change our brain! Appreciation is one of the easiest skills to start practicing because most of us have already experienced it in the form of gratitude and thankfulness. Appreciation is what my husband Chris calls, “packaged joy” that can be remembered and shared anytime, even when circumstances are not bringing us joy. Our friend, Dr. Jim Wilder, shares that feeling five minutes of appreciation three times a day over thirty days can change our outlook on life and reset the nervous system to run on joy. Five minutes sounds easy on paper but it does take some work. Five straight minutes of sustained appreciation can be hard to maintain because you have to stay focused and feel appreciation in your body. In the beginning, you may find your mind starts to wander. Soon the warm feeling of appreciation begins to fade like an old stick of bubblegum. Don’t give up! The more you practice, the easier it will be to sustain the appreciation feelings. Also, I have a useful suggestion for you to try. I have found it helpful to have a list of special moments in my journal that bring me appreciation. I like to have a one or two-word “title” for the moments that will remind me of my appreciation memory. For instance: Snow Fort, Sunset, Michigan Beach, Giggles, Sledding, Camp Fire, Blowing Bubbles, Bedtime Snuggles, etc. These words jump-start my appreciation and give me a list to refer to in case my appreciation feeling fades. At this point, I have a new appreciation memory to focus on. Many people find it helpful to look at pictures on their phones or photos from family albums or scrapbooks to get them started. Find what works best for you. Appreciation is such a significant skill for building joy, strengthening connections between people, recovering from upset and helping our relational circuits come back on, to name just a few. Appreciation has helped me in many difficult seasons of my life, in my marriage, and for my parenting challenges. Go ahead; set your appreciation timer and have some fun today! 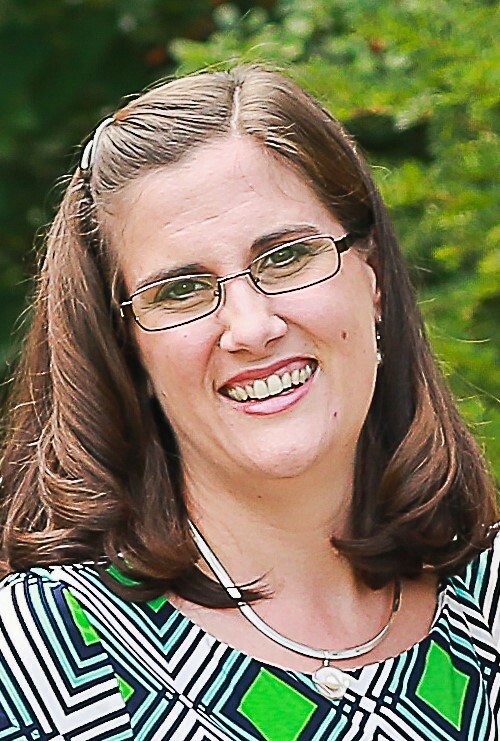 Jen Coursey is co-creator of Thrive Training, Joy Rekindled Marriage Weekends and co-author of 30 Days of Joy for Busy Married Couples. She is passionate about training others in the relational skills needed to thrive. Jen is a mother of two active young boys and she is grateful she learned these skills that have preserved her sanity and prepared her to raise a thriving family in the midst of overwhelming demands from young children, her family, and her ministry. Jen is excited to share her experiences with other parents and pass on the skills God has used to transform her life. Jen shares stories and examples of how to use the skills in marriage and family life on her weekly blog.